Welcome to National Brown Bag It Day. The brown bag has been around for a long, long time. 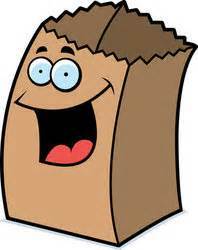 It seems like just yesterday, everyone was “brown bagging it”, taking their lunch to work or school in a brown paper bag. My how times have changed. Nowadays, very few people brown bag it. If you extend this line of thought to include in the definition of “brown baggers”, people who carry their lunch in a lunch bucket or a lunch pail back in the day, that would include most people. Then, somewhere along the way, Brown Bagging your lunch grew out of style. Busy, working moms did not have the time in the morning to pack a good lunch. School lunch programs were initiated or expanded, to the point where almost all kids bought their lunch at school. After all, bringing your lunch is not considered “cool”. Today is the perfect day to go “retro” if only for a day, and brown bag your lunch. Nostalgia aside, there are good reasons to brown bag it. First of all, it can save a lot of money, over buying lunch on a daily basis. Second, homemade or foods packed from home always taste better. In addition, Mom or Dad can pack a lunch that is more healthy and nutritious. That’s a lot of good reasons to brown bag it. Now, if we can only get people to look at brown bagging as being the “cool” thing to do. National Brown Bag It Day. is the perfect day to go back in time and brown bag it. Because it is a special holiday, it will be the “cool” thing to do, if only for a day. 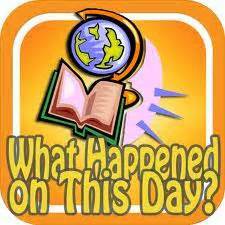 We found no historical information on the origin of this special day. The author is anonymous. This day appears to be very recent, dating back to approximately 2013. This day is called a “National” day. We did not find any congressional records or presidential proclamations for this day. Tap the keg. Crack open a bottle. 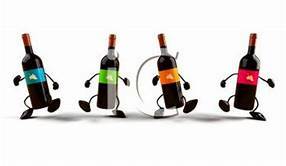 Today is National Wine Day. People have been drinking wine since the early days of man (and woman). There are plenty of references to wine in the Bible. The wine has thankfully been around for thousands of years. There are many varieties of grapes, giving us the opportunity to make and enjoy, hundreds of different varieties of wines. Made from fermented grapes, wine is easy to make. As a result, there are many home vintners among us. While you don’t have to drink wine today to celebrate this day, it certainly would not be as much fun. Have a glass or two of wine. Have a wide variety that you have never tried before. Important: Remember, if you do drink, don’t drive. Always have a designated driver. But, we certainly can imagine how this day came to be. Imagine being at a party. The wine is flowing. After a few glasses, someone declares National Wine Day into existence.